« Burnett Blvd Signals: Five More Seconds! I might replace it with some steel sheets, although I have no immediate need for a bare transformer. Nice strain relief on those line-voltage wires, eh? I clamped them to the aluminum sheet for heatsinking before I lit ’em up. 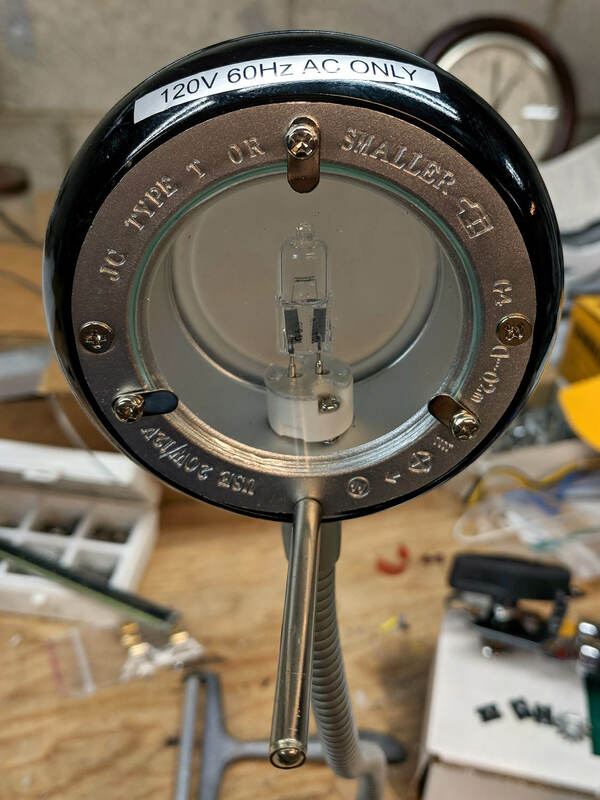 The circles traced directly from the lamp’s hardware give some idea of the eventual layout. I have more-intense LEDs, but spreading the light over a larger area should work better for the intended purpose. 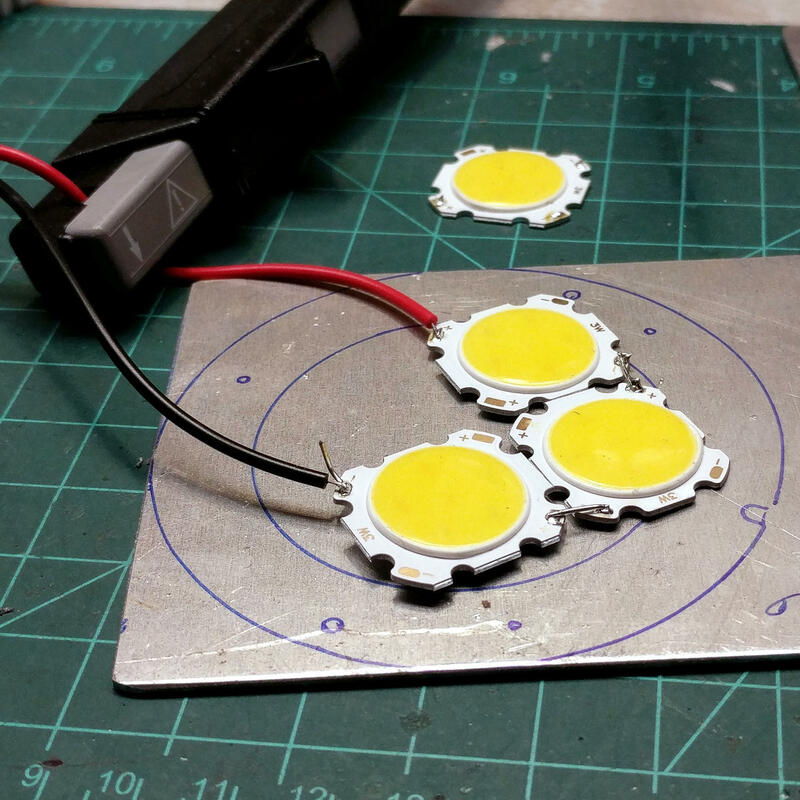 These are pleasant warm-white LEDs, too. 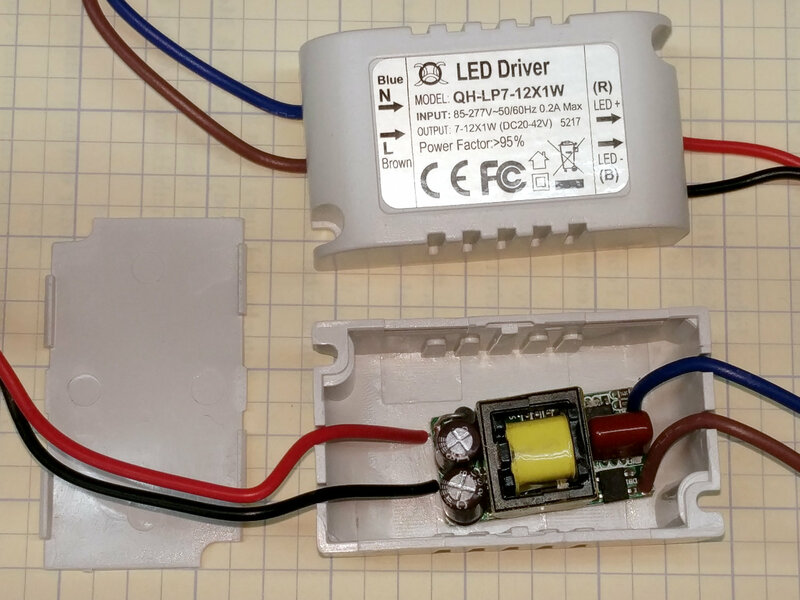 The fourth LED raised the forward voltage beyond the supply’s 42 V maximum, causing the supply to blink on and off. 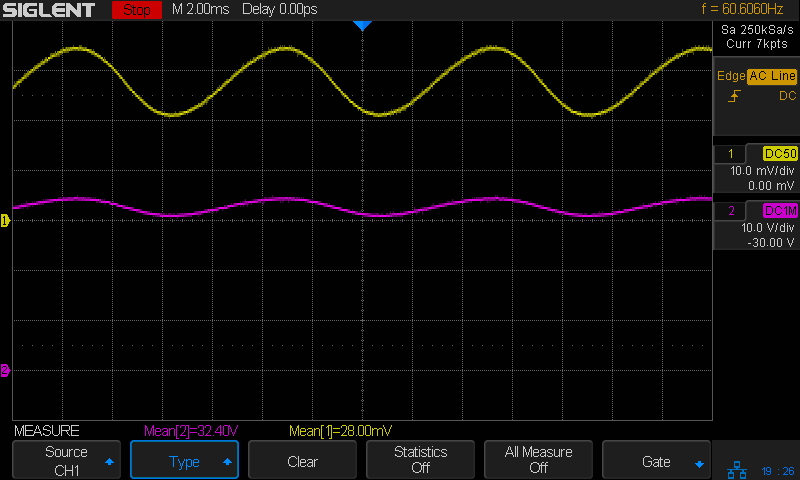 The top trace averages 280 mA and the bottom trace 32 V, so the LEDs run at 9 W = 3 W apiece, as they should. 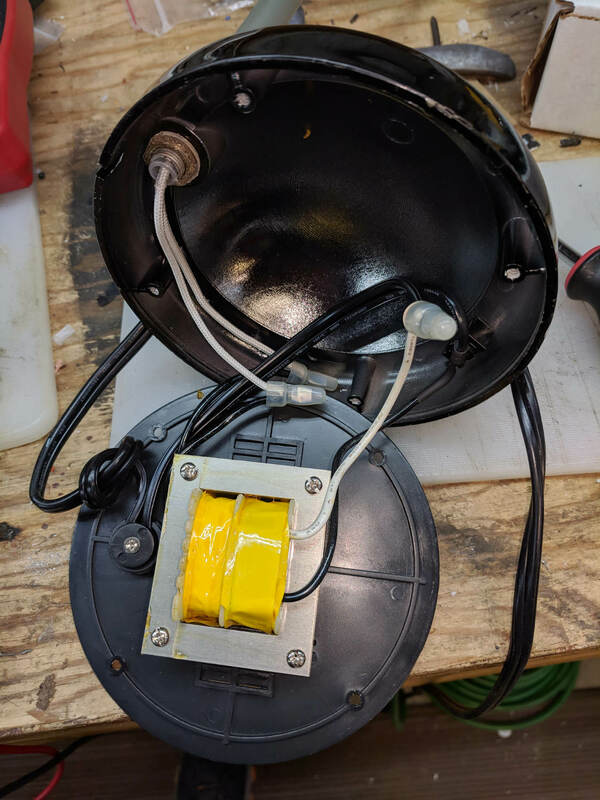 This entry was posted on 2018-10-05, 07:33 and is filed under Electronics Workbench, Home Ec, Machine Shop. You can follow any responses to this entry through RSS 2.0. Both comments and pings are currently closed.